The first in a series of state campaign finance guides aimed at candidates at all levels of government. A Candidate’s Guide to Campaign Finance in Colorado is the sum of Pam Feely’s more than two decades of experience in campaign finance and tax law. This guide the definitive source for candidate’s and their committees and staffs looking for user-friendly directions into Colorado’s complex and confusing campaign finance rules. Recently received 2nd place at the 2016 Colorado Independent Publishers Association EVVY Awards and will soon be sold at the Tattered Cover! This guide is the definitive source for candidate’s and their committees and staffs looking for user-friendly directions into Colorado’s complex and confusing campaign finance rules. 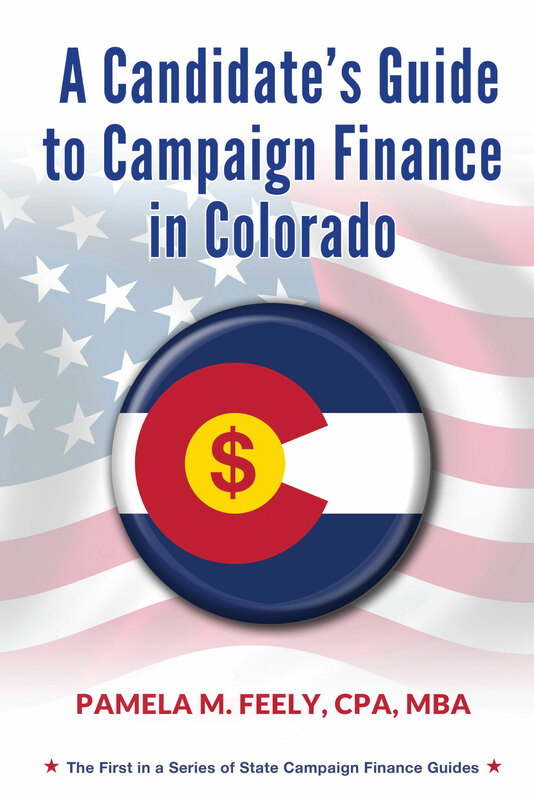 Now officially a Colorado Independent Publisher Association’s EVVY award winner, make sure you get your copy of A Candidate’s Guide to Campaign Finance in Colorado before you ramp up your campaign for the next cycle.